Who knew you could do so many beautiful things with empty bottles. I have been saving them for this kind of inspiration. This time DIY project is using twine, which definitely gives a rustic and vintage feelings. I had all this in my house already so my materials cost was RM0.00. Start from the bottom by applying hot glue to anchor the twine and allow the glue to dry completely before moving on. 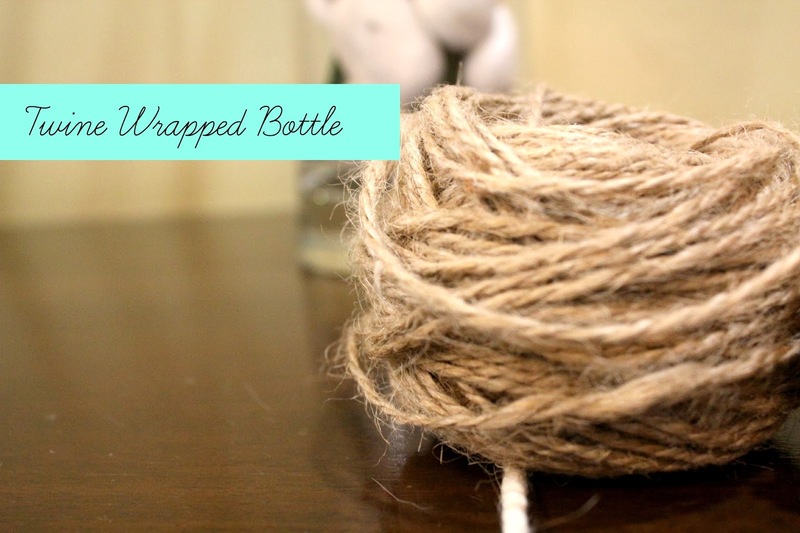 Keep wrapping twine around the bottle until the neck. Push twine close to each other to ensure there is no gap in between so that they are nice, neat and tight. Lastly trim the excess and add more hot glue to adhere the end of the twine securely to the bottle. This go so perfectly with home decor! Feel free to add anything you like on the inside, such as fake flowers and willow sticks. The opening of my jar is big enough to store some craft ribbons so I'll be needing the jar lid.